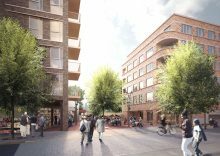 Brixton Green was set up in 2008 by local residents to ensure Somerleyton Road was developed with the community at the forefront. In November 2013, after 5 years of lobbying, we convinced Lambeth Council to develop the site in partnership with the community. A steering group was set up with representatives from Lambeth Council, Brixton Green and the Ovalhouse Theatre. The planning application has now been approved. To view the application Click here and use reference number 15/05282/RG3. The ambition is for the whole development (apart from the theatre) to be leased to a new overarching community body for 250 years. The board of this new body will be elected from the residents, wider community, non-residential occupiers (e.g. the chef’s school) and Lambeth Council. This structure makes sure this public asset continues to benefit the community throughout the 250 years and its management is publicly accountable. 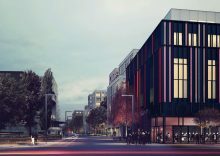 The objectives of this new overarching community body are being developed from the community’s feedback during the many engagement events/workshops we’ve held and they will continue to be developed during the building phase as the new tenants arrive. 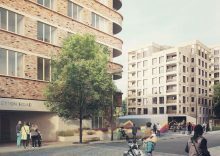 The project will pay its own way over its lifetime, and will not be a cost to Lambeth taxpayers. There will be no ‘poor doors’. The social and market rent housing will be mixed throughout. There will be over 300 new homes all for rent and all owned by a new charitable and locally accountable Trust. 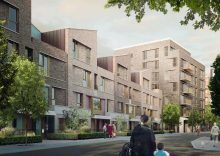 At least 60 of the homes will be part of an extra care scheme for older people over 55. 30% of the homes will have genuine low cost rents, the kind of rents that the Council sets. 50% of all the homes will be Affordable Homes, as defined by the government. 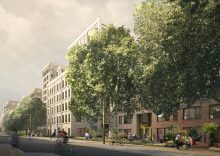 The homes will be built to meet, and if possible exceed, the London Housing Design standards, with an aim for 100% of the homes to have dual aspect. There is an ambition for a high level of environmental sustainability in the build and use of resources. The layout of facilities and access to services is being structured to make it easier for people to look after each other. The scheme includes real job opportunities for local people. 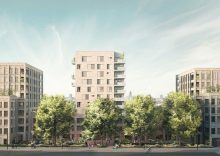 Rather than have a private developer deliver the project, Brixton Green encouraged Lambeth Council to develop the site directly themselves. This is no longer possible if the community are to stay in control. So Brixton Green has set up the Somerleyton Trust, a charitable company to lead the development. Lambeth Council needs to enter a lease for the land, for 250 years, with the Somerleyton Trust. The freehold for the land stays with Lambeth Council as the democratic accountable body. The Somerleyton Trust has found a delivery agent who will help us build it and find the funding for the development. The mortgage will be repaid from the rents over time. When the mortgage is paid off, the surplus from the rents will be shared with Lambeth as an annual payment for the remainder of the 250 years. 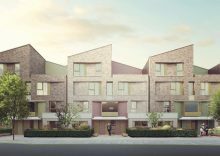 Some great architects, who are each known for their specific expertise, are working on the project, including a local Brixton architect.